Is the Wulfen the wave of the future for Clan designs? The Wulfen light mech is a mix of Clan and Inner Sphere technology, utilizing the best from each tech base to reach peak performance. Keep in mind we are discussing the base chassis without any of the weapons attached, so comments about how dysfunctional or erratic its weapon loads are do not really apply. To get its speed the mech needed to use the lightest components available- Clan XXL Engine, IS XL Gyro, Clan EndoSteel. Its a light mech which always seem to have an abundance of crits, so as has repeatedly been noticed using these bulky technologies to increase the mass to be used for weapons or armor is a good trade off. The Wulfen uses Stealth Armor, which is good for a light since not getting hit is what protects them. Instead of a larger and heavier IS Guardian ECM, the design integrates a Clan ECM unit to make the armor function. I have to wonder how many Capellan warriors with Stealth armor hoping to salvage one from the battlefields to gain another half ton of something. By the fluff, its not the only design where the Imperial Wolves have been mixing technology bases (Orion C, Longinus C) but it does appear to be the only one so far purpose built to take the best advantage of design choices. Re: Is the Wulfen the wave of the future for Clan designs? The Clan way teaches to not waste, so mixing and matching IS and Clan tech makes perfect sense. "Hold your position, conserve ammo... and wait for the Dragoons to go Feral"
As the last line stated, this mech was purpose designed that way back before they ever moved. Some of the C models of equipment already built in the new Empire were 'necessity' models but the Wulfen was by choice. The (more experimental) Skinwalker uses TSM in the base chassis, with the Radical Heat Sink, TSEMP, and Bombast Laser making appearances in various configs. That's all Spheroid tech. Clan Wolf DOES seem to be trending quite high tech in some of their design work. As stated, you have the Wulfen which gets about as fast as a usable fast mech can go. Even Phantoms have trouble keeping up with it. You also have the Orion C with Ferrolam, Streak LRMs and ER Pulse lasers showcasing some fine technology. And then there's the Skinwalker. Some of the things that mech can do is terrifying. But given that it requires EI, and there's a bit of a stigma against that as a crutch, I do think it'll limit the spread of the design. But it's not just Clan Wolf. the Sea Fox Savage Wolf incorporates an XXL and Ferrolam like it's no big deal. The Interface cockpit shows up on a hell's horses mech whose name I'm blanking on at the moment too. Until the Republic quashed it, the Ghost Bears had a lot of success with C3i employed against in-their-eyes dezgra targets. Whichever Clan absorbs the Republic to become ilClan, is going to have all of that RISC tech at their disposal too. I hope so. 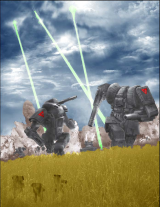 Light Mechs need advanced technology to remain competitive on the modern battlefield. The are maximizing speed defensive mods so need to look to stealth next. And unlike larger Mechs, like Mechs have the internal space for exotic tech. Steve, are you talking about the Parash 3 from XTRO Republic 3? It's the only experimental I remember that's Clan and uses the interface cockpit. Outside of the Septicemea, anyways. Nope, the Ryoken III-XP (Skinwalker) from the same book is experimental and uses an interface cockpit. As for the question at hand, I think going forwards, there will be quite a few mixed-tech designs in the Inner Sphere clans, the spheroids have a lot more interesting options that can be equipped to an omni-mech. The clans were never large enough individually to have a truly innovative scientist-caste, so picking the best stuff from spheroid options and then optimizing them would be completely within the realms of what the clans would do. Yes, Parash 3, that's the other Interface Cockpit design I was trying to think of. Thanks! -- Claws and Heavy Duty Gyros on the Jade Hawk and Jade Hawk JH4. These are all examples where Spheroidtech is used to do something that Clantech can't, like EM capture or enhanced melee combat. It seems that the Clans stick with their technology when it's simply more efficient/effective versions of Spheroidtech, which makes sense. There's also the GRD-1D Gravedigger, which puts Clan-space weaponry on a Spheroid chassis. Although produced in the Dominion, not sure if the Ghost Bears use it. The Surat BA is yet another example of Clantech on a Spheroid chassis. Actually some of the Jade Hawks are built by the IS using plans from defectors IIRC. Solahma? You mean the Surat? There are Clan Mechs that use IS tech to achieve an effect like the Wulfen. 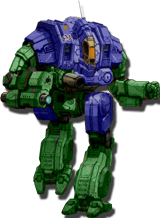 And there are Clan Mechs that use IS tech because that is what is available at short notice like the Gravedigger (post war devastation) and Surat (newly captured factory). I'm pretty sure the Clans developed artillery cannons independently from the Spheroids. IO puts Clan intro date for them at 3032 by the Clan Wolf. As such the Hel B is not a mixed tech configuration. Very weird indeed. I did consider that Dragoon theory myself as it seems the only reasonable explanation, especially since the Clans never actually used the cannons for anything. Pretty sure the Hel B is the very first example, i most certainly wouldn't mind retconning it to be a mixed tech config. Does the weapons even have any big stat differences? I wonder about it being a HH Field Gun set up. Do we have any vehicles mixed this way? Thought the Gull was a Warden design? And the Clans had their own chemical lasers? Protos use them and I want to say the Red Kite? I was only concerned with the techbase (IS mixed). It's a WiE arch royal production. does WiE technically count as a clan still? And the Clans had their own chemical lasers? Protos use them and I want to say the Red Kite? Yeah, their production base is still Clan. Chemical Lasers are Clantech. Horses from memory. There's a Flamberge config that uses IS Plasma Rifles. I do wonder if it was a field expedient config . . . but a pair? as a normal config when not facing the Capellans? Yeah, I think it could be said to be intentional. Short ranged (15 hexes, next weapon at 12) I wonder if the Falcons were really facing that much armor and battle armor. They're invading the Lyran Commonwealth. Next stupid question, please. Hey, I hate Fenrirs backing a wall of steel as much as the next guy- but with all their losses how much combined arms are they really fielding? IMO it was always a toss up between them & the Dracs who had the least conventional forces in the same battle with mechs. I mean, I LOVE some of the Lyran armor- SchildTurtle, Gurti, DI Morgan, Kelswa, Demo Gauss, Rommel (Gauss), Pattons, and a few others but they are not described as going into the fight along side mechs as the other House/Clans. And while I respect Fenrir's ability to move with some firepower they are thin skinned and present transport problems . . . the rest of their BA corp? IS Stds or clones, GDL Stds, Rotts and Fenrir IIs. Lyran battle armor, unless they are dipping into Warden Wolf availability, is the least worrying by the Jihad. Though I guess with it being a DA design, you could say it was set up for the desant to face the Republic's combined arms garrisons. I'm pretty sure that the Fenrir has been completely replaced by the Fenrir II. They've also got the other Gray Death suits, and access to most FedSuns designs. Plus the Cuchulainn, which packs a bite. And the fluff for the Kelswa and DI Schmitt both talk about how the tanks were instrumental in beating Falcon forces on multiple worlds. I don't know which fluff you were reading, because for decades the Steiners have been described as liking their combined arms and deploying tank and BA formations to good effect. The Fenrir II may have replaced the Fenrir in the quartermaster's orders and in general production, but they still had a bunch of old Fenrir kicking around . . . and with all the usual RATs provisions . . . Between ER3145 and FM3145 (ER Dark Ages is notably missing a BA RAT), the Lyrans have a lot of old Infiltrator Mk Is still and IS Std as about the only FS stuff available- though I lumped in clones which would be Cavaliers and salvaged Raidens as a possibility. FM gives them a chance at GDL Stds, but that has to be old stock since the Falcons have controlled the factory on Glengarry since early in the Desant (late 3134) so those are no in the pipeline. The GDL Infiltrator is since it is built on Furillo. The majority of the Lyran BA corp could be said to be made up of Night Hawk XXI, Smoothdavid III, GDL Scout, Infiltrator Mk I, GDL Infiltrator, Rottweiler, IS Std & clones, Fenrir, GDL Std, Fenrir II, GDL Heavy, GDL Strike, and Sloth. They probably have a sprinkling of suits salvaged from neighbors or during the Jihad (Phalanx?) along with purchases of things like the Clan Med BA Rabid/Volk/Bar, Black Wolf, Cuchus, and anything else bought from the Foxes in betters days. But by 3145-50, IMO their BA formations would be as chewed up as the mech formations- might be why the Fenrir came back to prominence, got dusted off in the warehouse- and its going to be about what gets produced on their remaining worlds. And for all that, I do not worry about quads (which seems to be the Lyran BA motif) like I do medium troopers who can do leg attacks. So with the Flam D being two Plasma Rifles, I would say it was to face the Republic- who has a nastier BA corp when it comes to gear and is more combined arms IMO. But . . . like the Wulfen, what about the Black Wolf- designed/built 3142 and set to use IS Mortars and Support PPCs. RATs aren't canon as far as unit availability is concerned. They also don't tell you anything about how common different units are in a faction, they just give you a way to randomly generate a force on the fly. I prefer going by the MUL, which lists a lot more BA as being available to the Commonwealth than the RATs ever do. And Plasma Rifles are not purpose-made anti-BA or anti-Vehicle weapons, they're anti-everything weapons. If the real purpose of the configuration was exclusively to take out ground armor and BA troops, they'd have used plasma cannons. Anyway, regarding the Black Wolf, it was originally designed by the Wolves and Wolves-In-Exile working together. Given the chronic part shortages of the WiE, that makes the IS weapons understandable. The Lyrans probably have some old Infiltrator Is, because of the paper tiger thing that went on after the Jihad, but I would put money that there are far more Fenrirs, and Fenrirs IIs. The Infiltrator I just was not produced long enough, and took heavy losses in the FCCW, Clan incursions, and the Jihad, for there to be all that many of them left. Trooper suits like the IS standard, are about, and perform just fine. Because I grew up during the airing of the cartoon, the Sloth remains a favorite of Lyran suits.